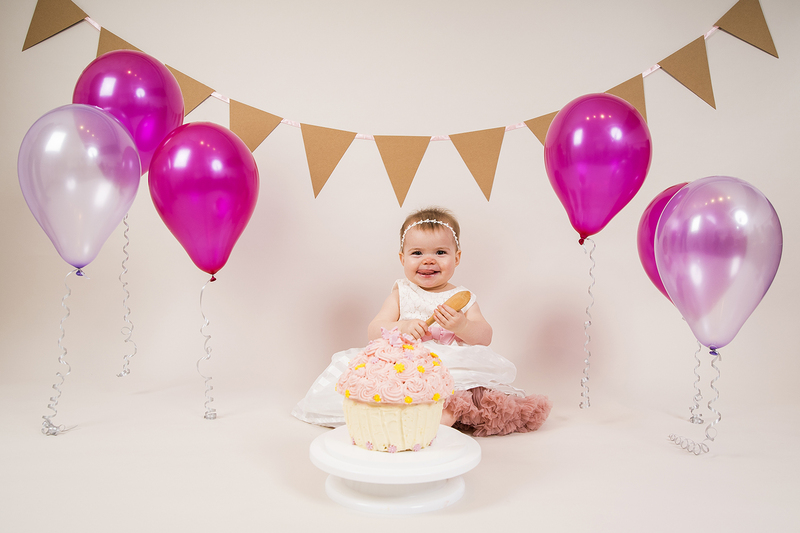 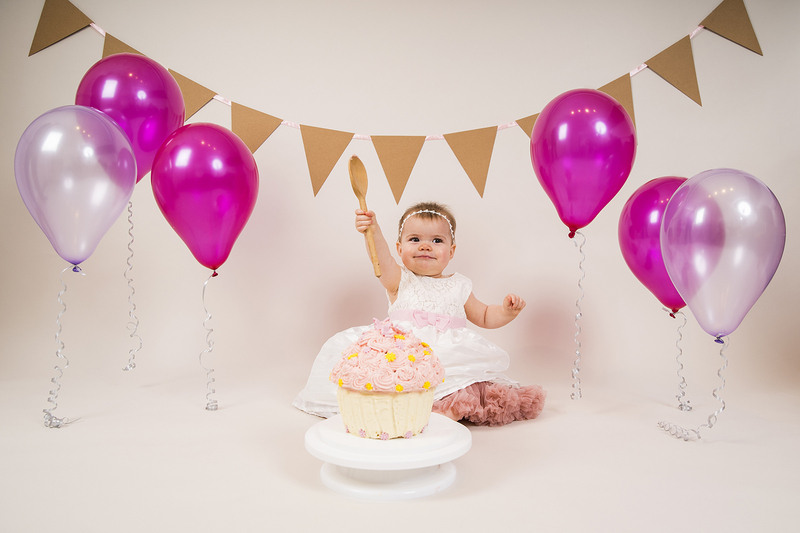 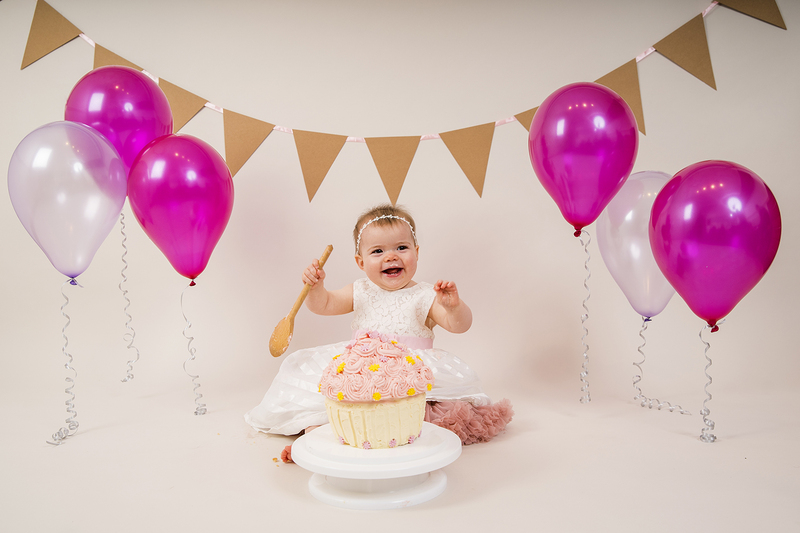 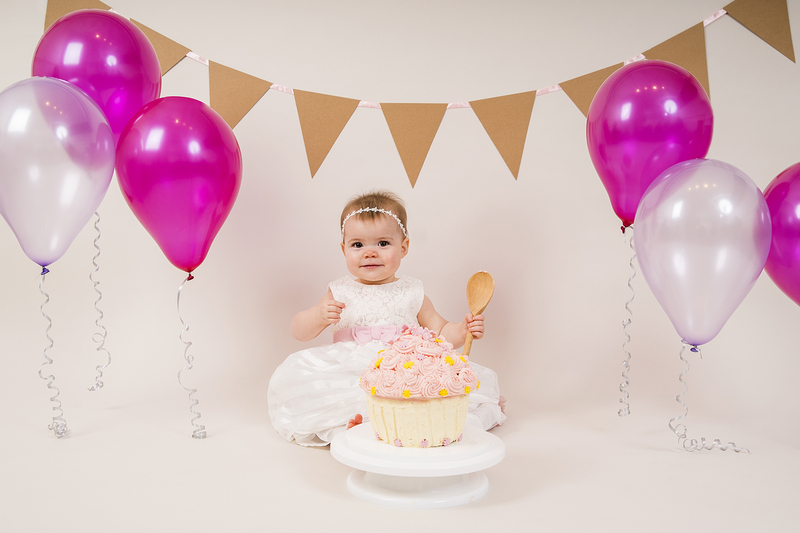 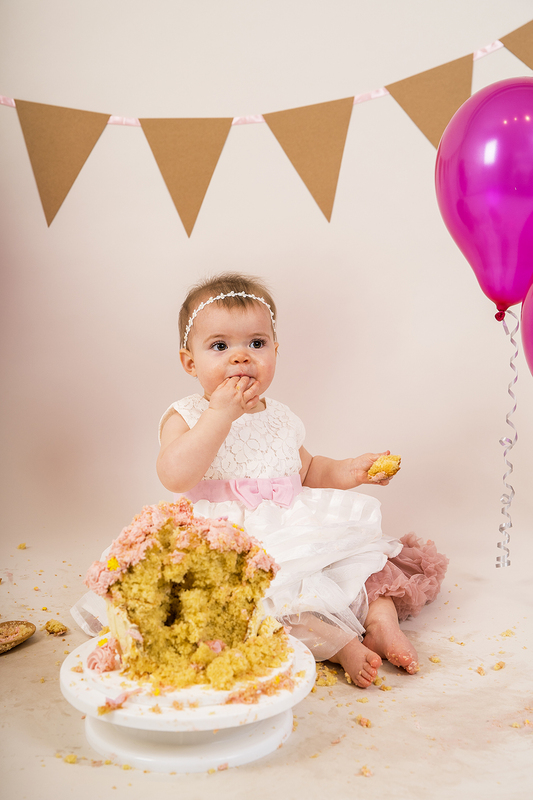 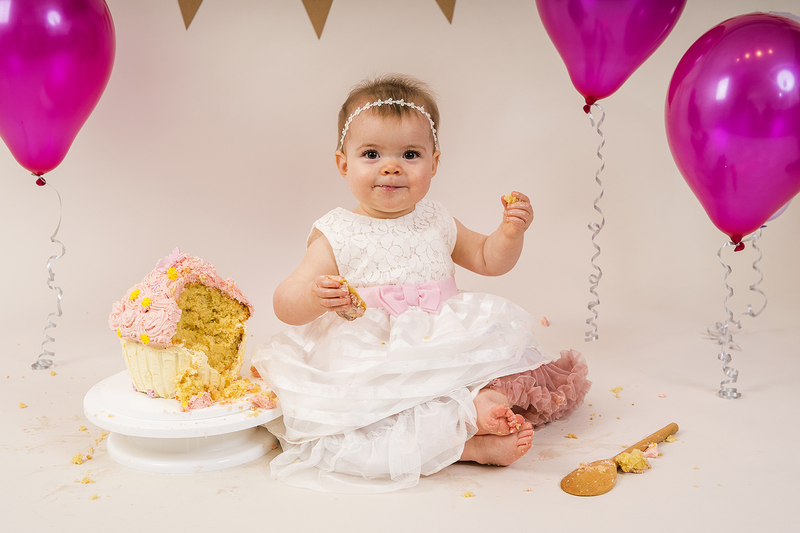 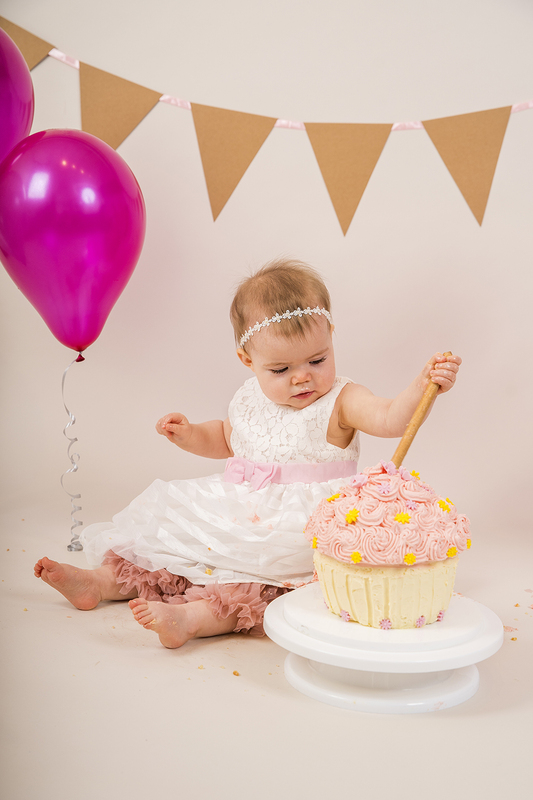 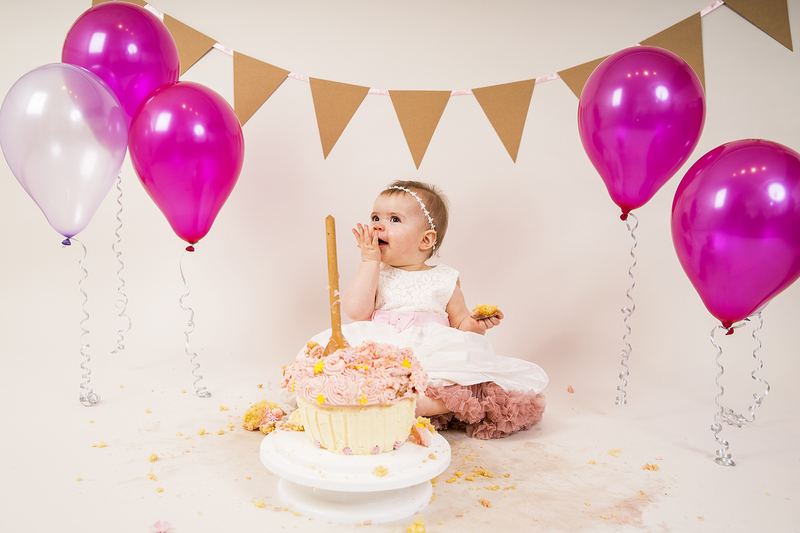 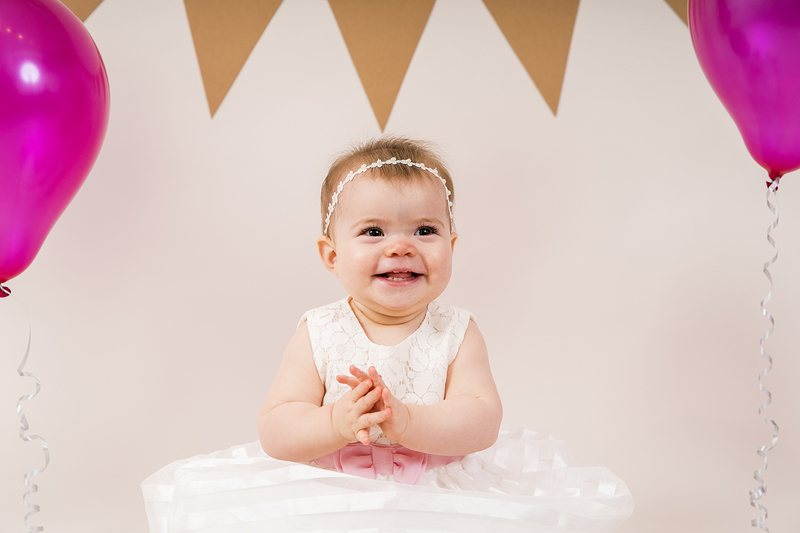 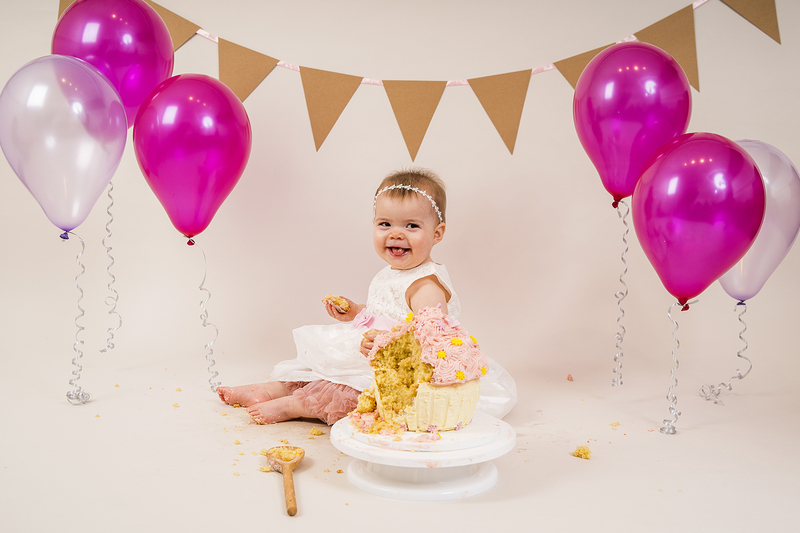 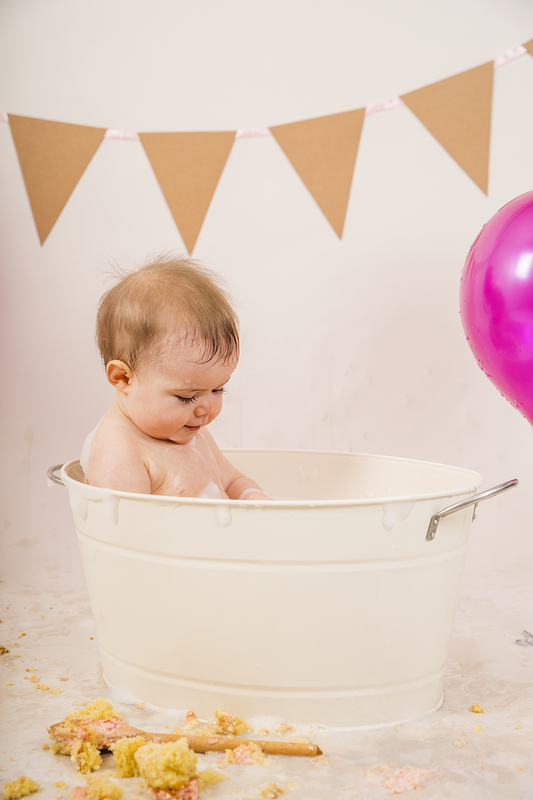 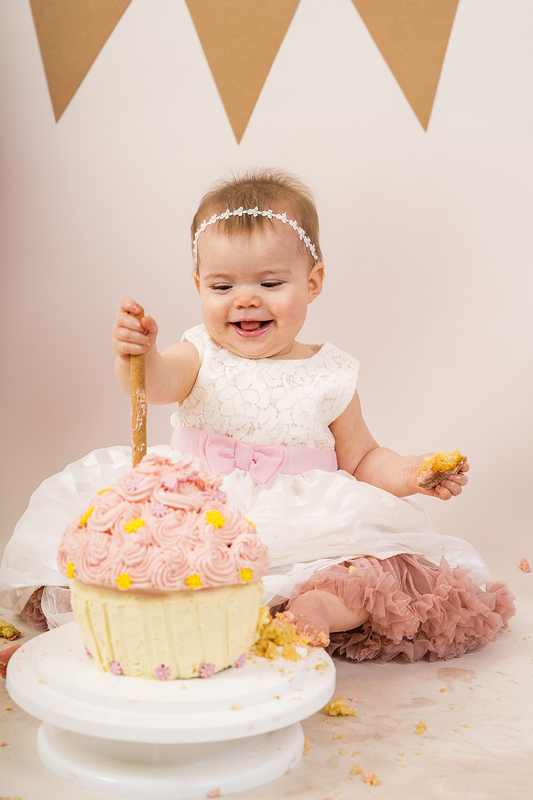 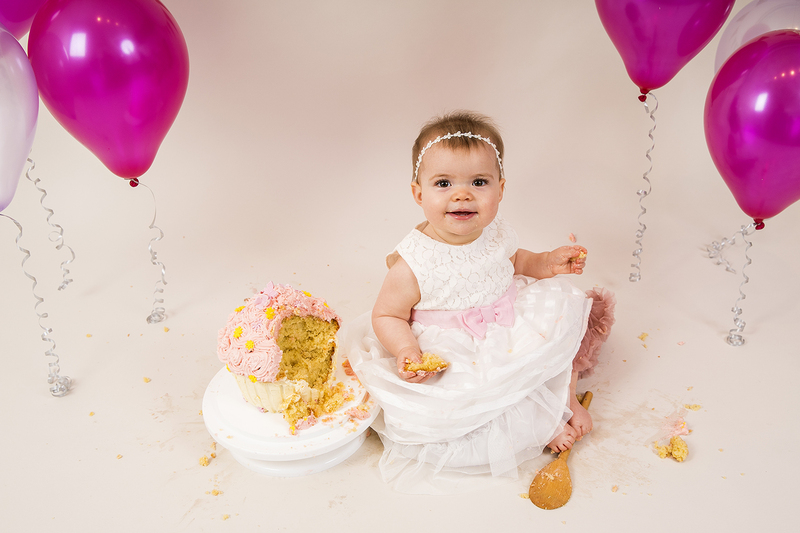 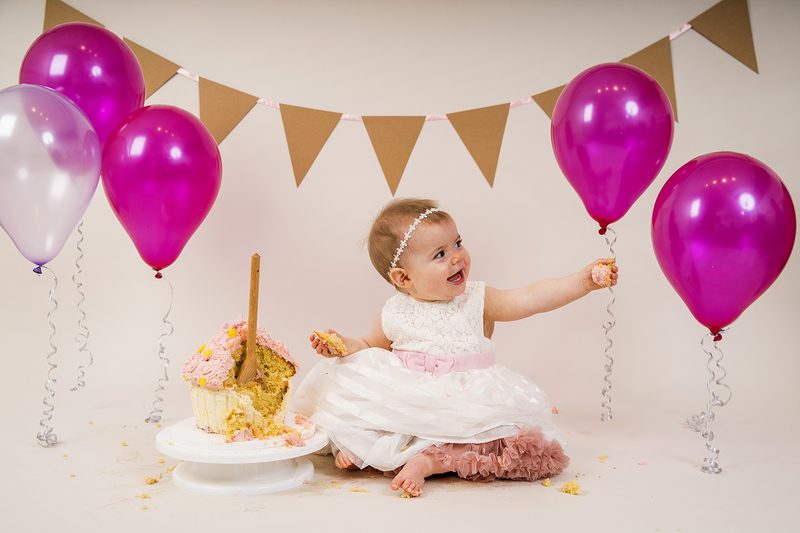 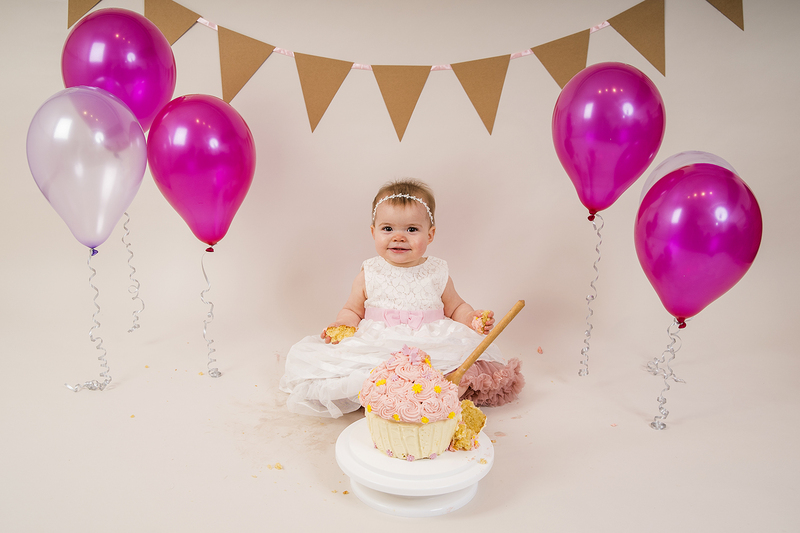 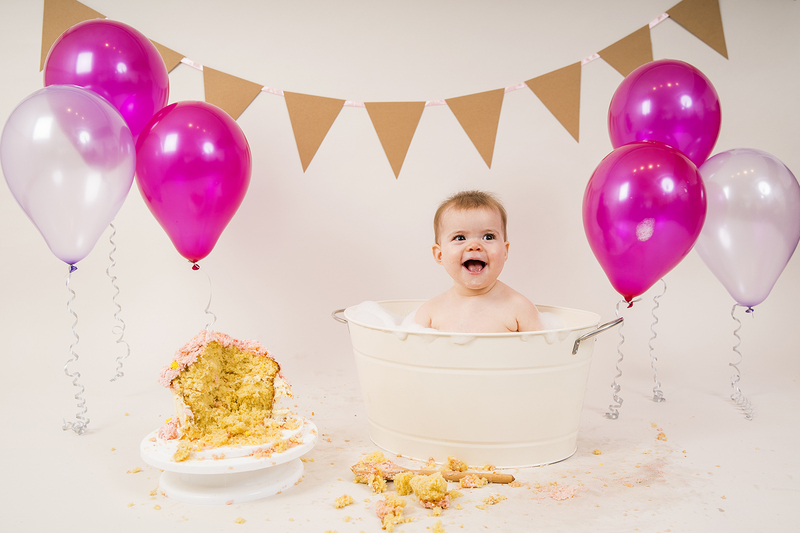 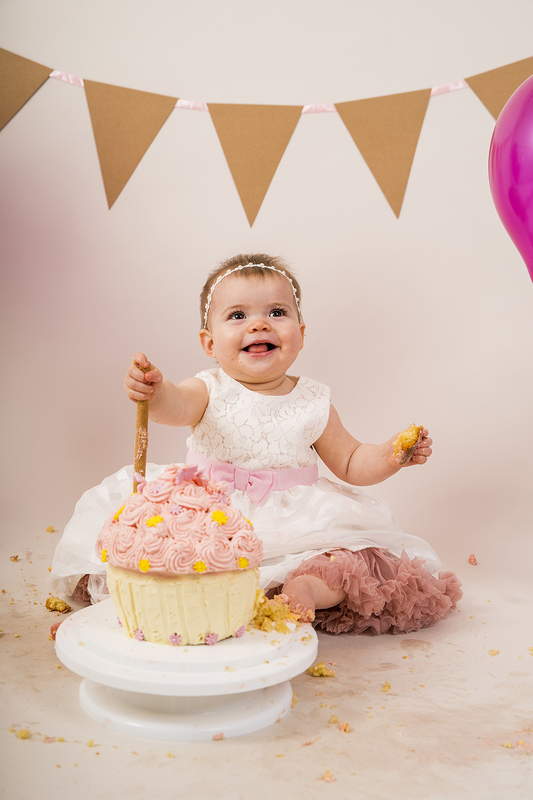 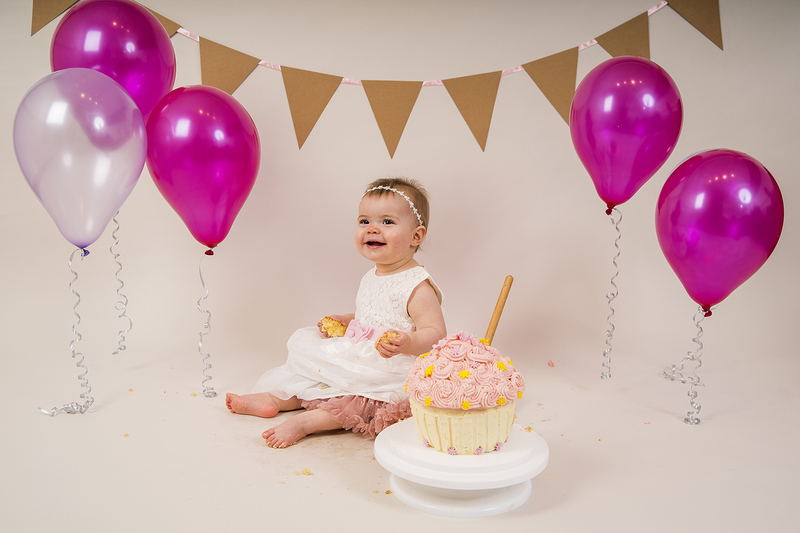 Lois came along to the studio on her 1st Birthday for a cake smash studio session. 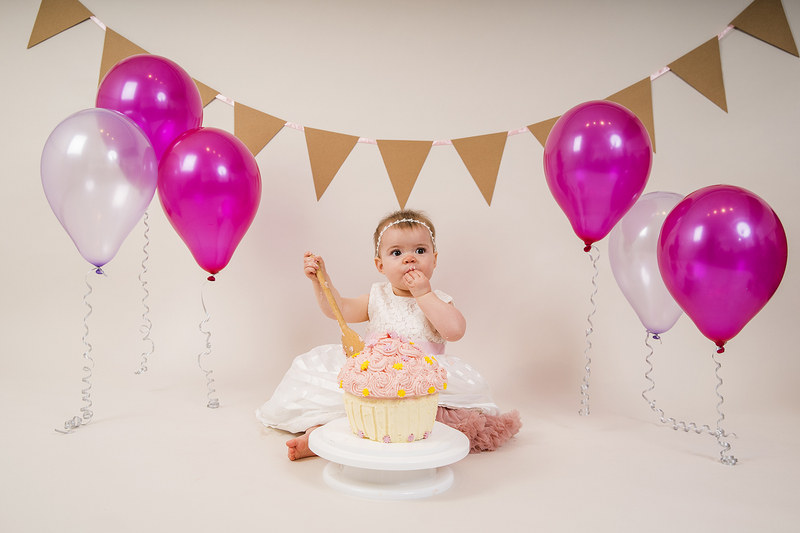 From the minute we started, Lois got stuck in straight away loving every minute of the shoot. 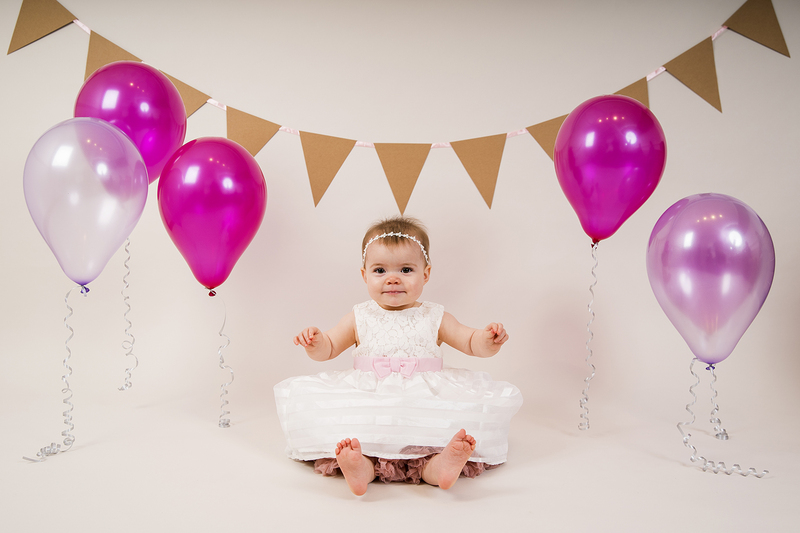 We first started the session with a few natural photographs of Lois playing with the balloons and capturing the setup before the mess started! 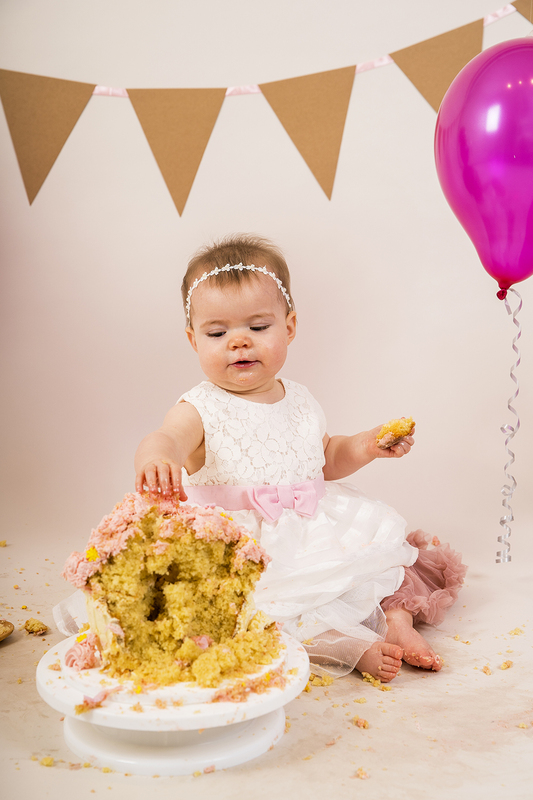 After lots of giggles and laughing we then started with the main part of the session, the CAKE SMASH, let the mess begin. 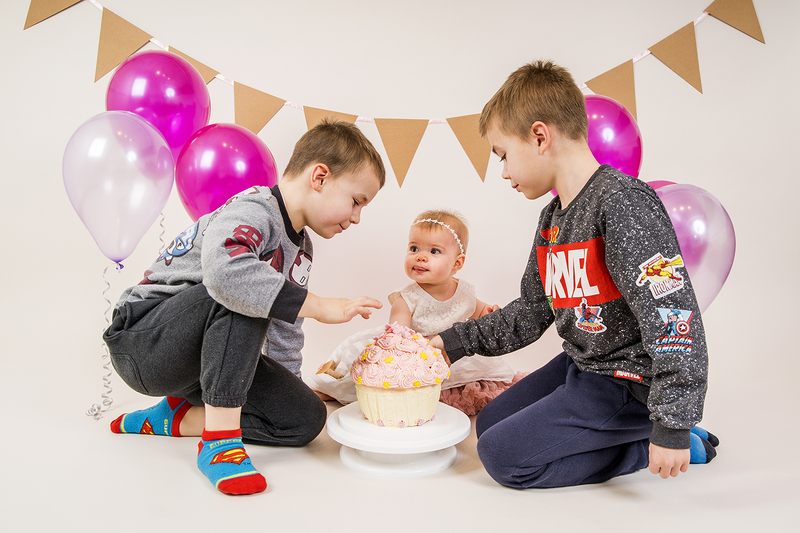 During the cake smash Lois’s two brothers also joined in the fun. 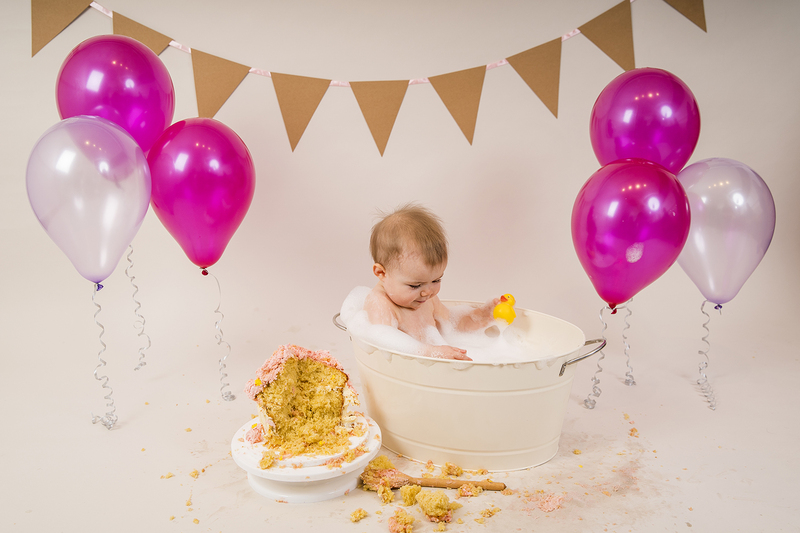 After lots of eating, smashing and mess it was time for the second part, the bath shoot. 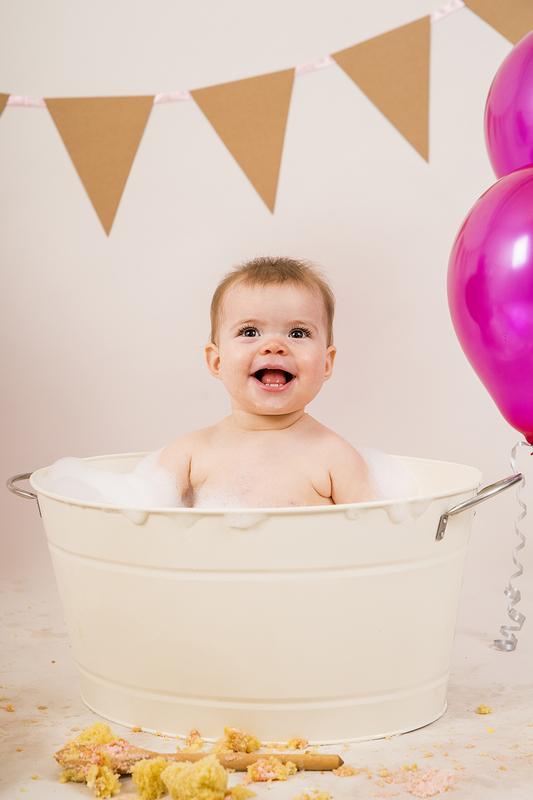 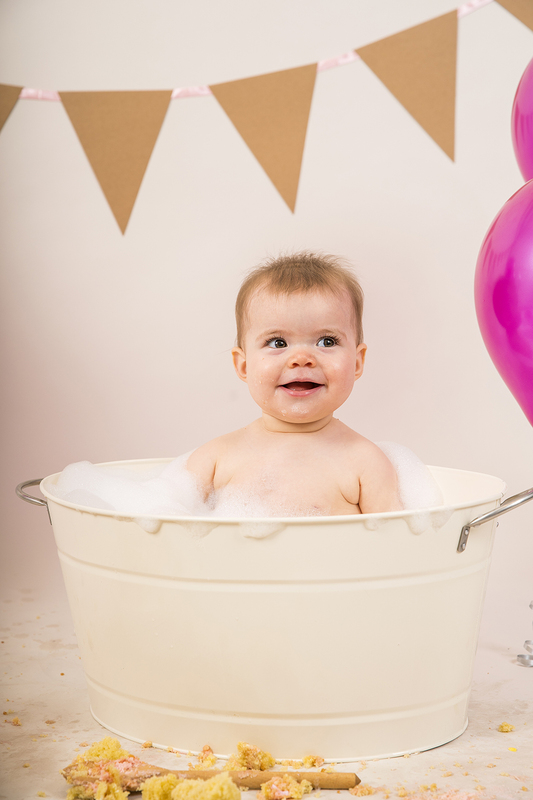 The bath shoot is always great fun and Lois loved SPLASHING around in the bath and playing with the bubbles. 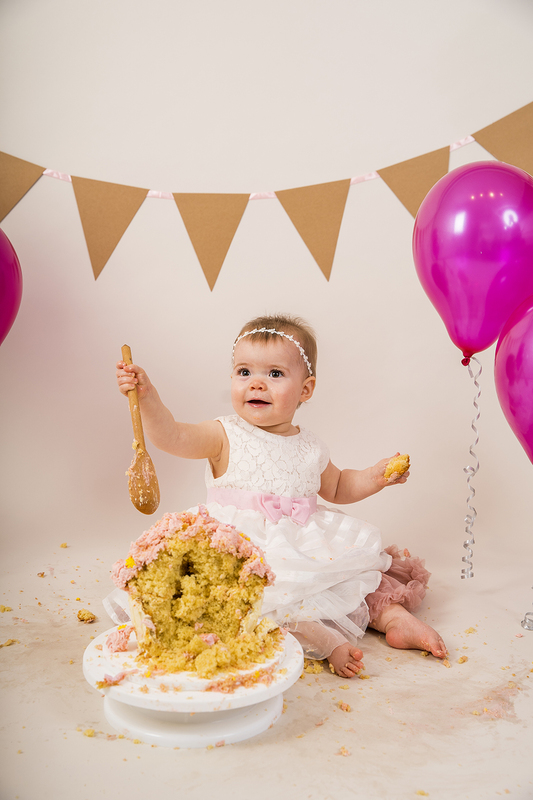 I hope you enjoy looking through Lois’s 1st Birthday Cake Smash Session! 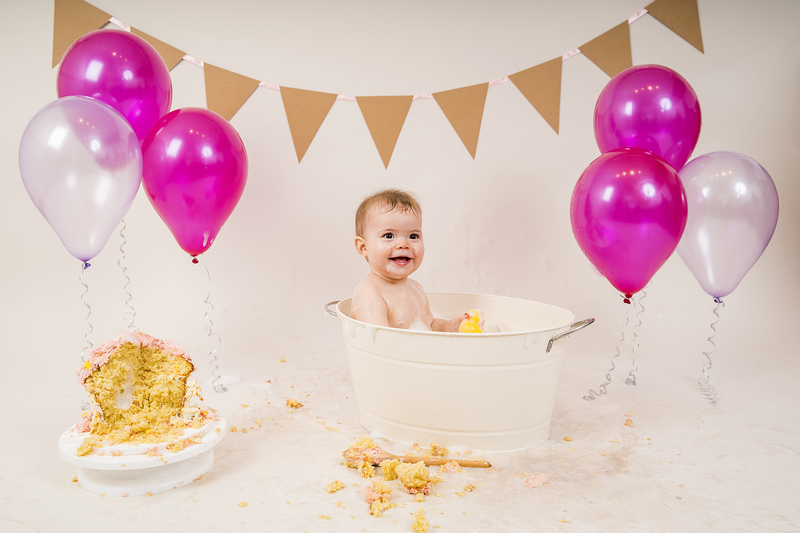 You will see how much fun she had.